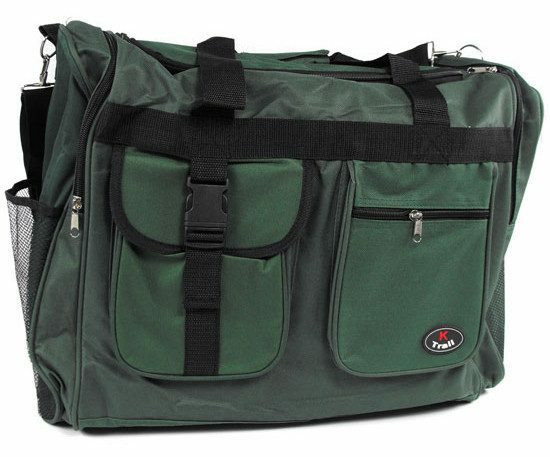 22 Inch Travel Duffel Just $11.99 Plus FREE Shipping! You are here: Home / Great Deals / 22 Inch Travel Duffel Just $11.99 Plus FREE Shipping! The 22 Inch Travel Duffel for Just $11.99 Plus FREE Shipping is roomy enough to hold accessories and a change of clothes with ease! This bag features a large 22 inch main compartment and 2 zippered side pockets. Each end of this bag features a netted pocket which is great for keeping things that you want to keep within reach and the padded shoulder strap makes carrying a comfy endeavor!